While car ownership is in decline amongst younger people, the average pass rate for the practical driving test in the UK has actually risen over the last ten years, with 46.5% of candidates passing in 2017. This average rate spans all driving centres in the country, ranging from two which achieved a 79% rate, to a London centre where only 30% of candidates managed to pass. Of course, factors such as age and the number of previous attempts at the test also play a crucial factor in these stats, but that still suggests that there are means beyond the standard learning materials which could improve these numbers. Furthermore, recent changes to the law have put more responsibility on learner drivers during their lessons, particularly now that driving on motorways is part of the basic driving syllabus. While this offers some practical experience in one of the most intimidating areas of being a new driver, it means that more support is needed for those taking lessons, whether to help with the learning process or for added financial security. Here, we look at the startups who are leading the way and helping learner drivers feel more comfortable and confident on the road. 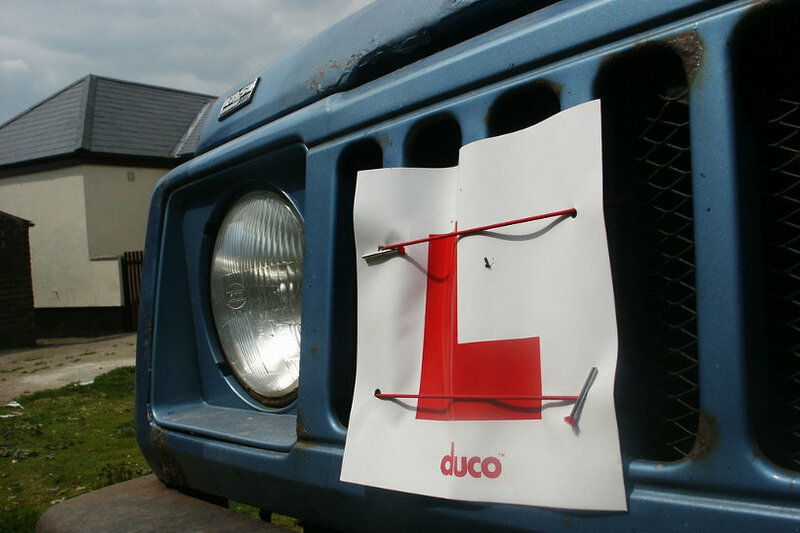 Although insurance is usually covered as part of the cost of driving lessons, learner drivers will often look for additional opportunities to practice what they are being taught. However, it is far harder to spend additional time driving in a parent or friend’s vehicle when you factor in the often prohibitive cost of adding another person to a vehicle’s insurance policy, if it is even allowed. In 2017, the Guardian reported on the availability of vehicle insurance cover on offer for learner drivers. Taking the location of their search—the not exactly cheap area of North London—into account, they found that cover ranged from £71 to £126 per month. However, in recent years, new companies have emerged to offer short-term coverage for those still repping L-plates. Cuvva provides instant on-demand quotes, whether new drivers are after an hourly policy or learner driver insurance for a day. The most important factor when it comes to finding a driving instructor is that they are approved by the Driver and Vehicle Standards Agency (DVSA), the government’s road safety watchdog. However, although the government website offers a list of approved instructors, it provides little more than a phone number, email address, and their accreditations. That is to say, pricing is nowhere to be found. Startups have filled this gap in the market with an Uber-like service to help connect learner drivers with instructors to suit their budget. These startups are looking to create a modern tech experience as an alternative to traditional driving school providers such as the AA with apps now on hand to help find driving instructors, who can create their own profiles and are given ratings by previous students. One of these apps Youmi, a UK-based startup acts more like a calendar than a learning resource. Youmi lists instructors by location, but also cost, rating, and whether they teach in manual or automatic cars. The app also lets users track how much they are spending on lessons, as well as acting as the method of contacting the instructor they end up choosing. With Youmi allowing learner drivers to connect more easily with instructors, and Cuvva making it easier for learners to get that all-important extra practice completed safely, startups are making the road ahead hazard-free for learner drivers. Don't Miss it Lead Generation with Vanity Numbers: Do Those Still Work?